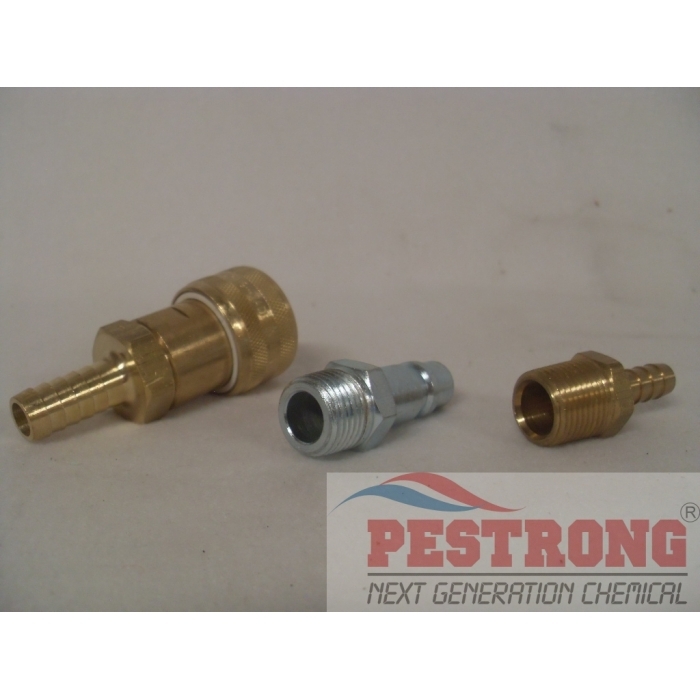 Where to Buy Sprayer Hose Fittings, Quick Coupling Hose Fittings - $44.95 for Sale with Fast Free Shipping! Quick Coupling Hose Fittings for pest control hose spray and sprayer gun consists 1 of 1/2" quick coupler, 1 of 3/8" Plug 1/2 MPT, 1 of 1/2" MPT brass. This set will fit 1/2" hose. Very very nice couplings. Very easy to pop in and pop out using these. Very convenient to use.